On the eve of her sixteenth birthday, the young sorceress Sabrina Spellman finds herself at a crossroads, having to choose between an unearthly destiny and her mortal boyfriend, Harvey. But a foe from her family's past has arrived in Greendale, Madame Satan, and she has her own deadly agenda. Archie Comics' latest horror sensation starts here! 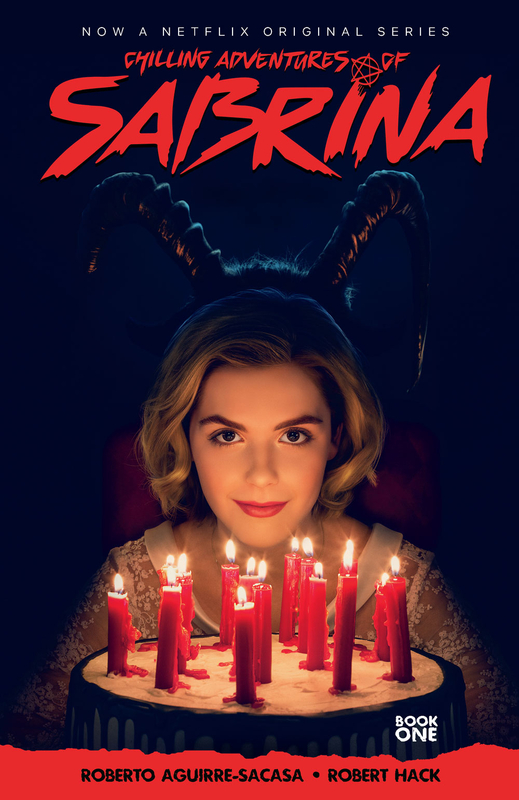 Compiles the first five issues of the ongoing comic book series Chilling Adventures of Sabrina. For TEEN+ readers..